Seeing the beautiful Mt. 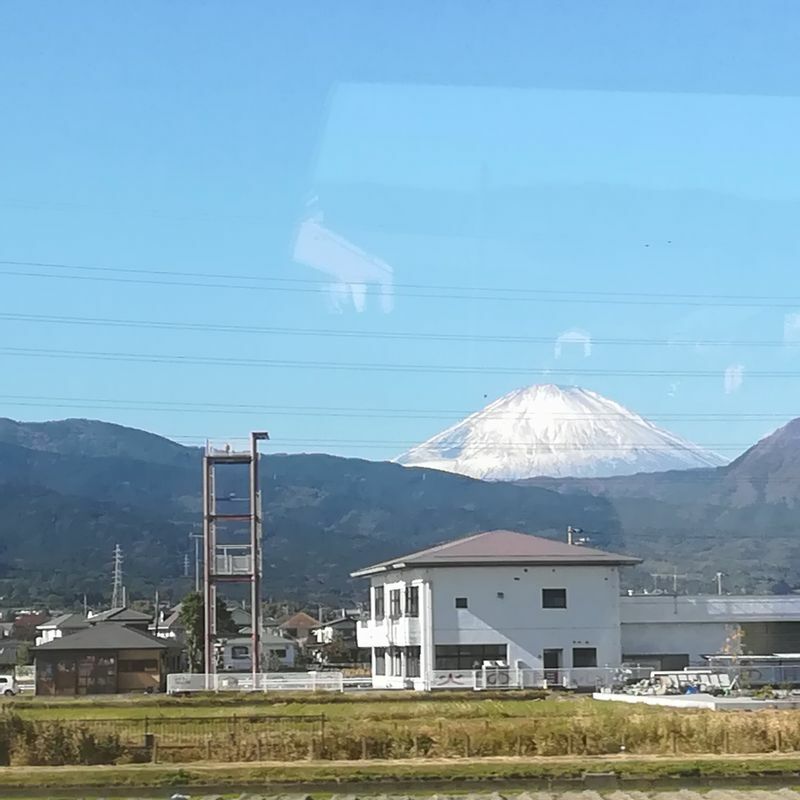 Fuji as we passed by Odawara by the Romance Car. I've been living in Japan for more than two years and I have a number of Japanese friends. It's not a long time, but with all the talks I've had with my friends, I've gathered a lot of information as to where or how to reach places in the most convenient way. Car rentals, bullet train or booking an LCC flight ( Low cost carrier ) are a few of the ones that they have recommended. 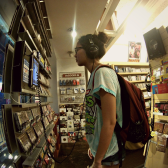 If you search online, there are a lot of blogs that tell you where to go and buy tickets. Again, I have to tell you that I've been to many places in Japan. Some places are typical tourist spots. I've climbed Mt. Fuji in the summer of 2016. I've been to Kyoto and Osaka. I've slept at Yoyogi Park during the "hanabi" season. But surprisingly, I've never been to Hakone! Well, not until a few weeks ago to be precise. As a hot spring fanatic like me, it is a sin not to visit Hakone for its hot springs. 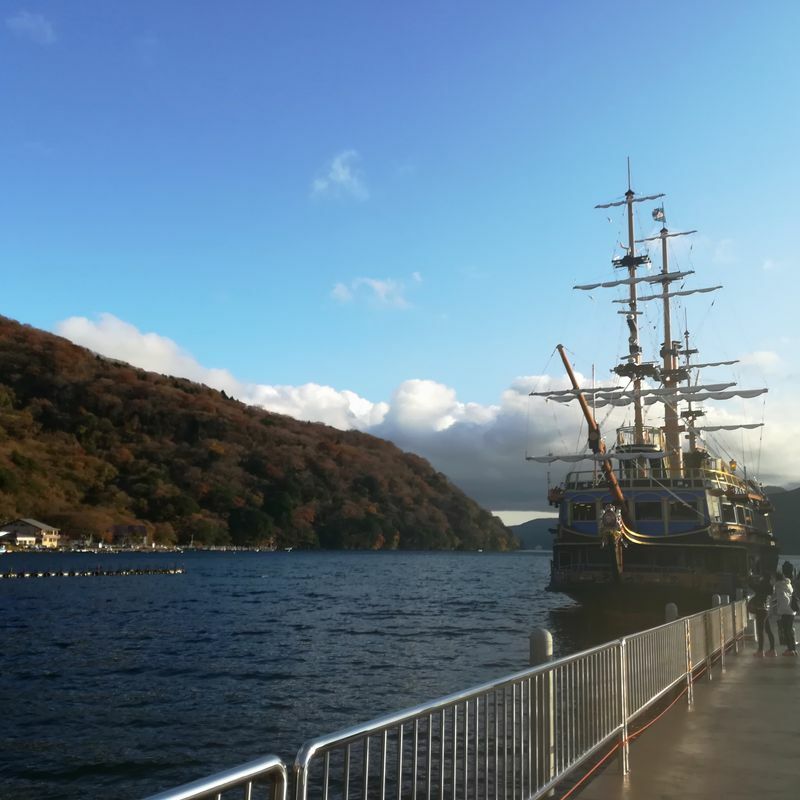 I've been to Nasu in Tochigi and Ito in Izumo but Hakone was not just in my list before. The reason for this is probably because most of the people I know have been there and it's so hard to drag them along because they're too busy with their jobs and all. However, I was finally able to invite my two co-workers to go there with me. I volunteered to make the itinerary since it's kind of entertaining to make such things. However, before I made the itinerary, I had to make sure to get the tickets and reservations needed for the trip. I know about the Romance Car by Odakyu. But I didn't know how to book a round-trip ticket. I thought at first that it was only for tourists wanting to travel in Japan and I'm currently a resident. The odds were on my favor of course. All I had to do was check online and typed Odakyu Romance Car and I found their website pretty easily. The website offers day trips, two-day and three-day trips to locations such as Hakone, Enoshima, Yamanashi and so on. 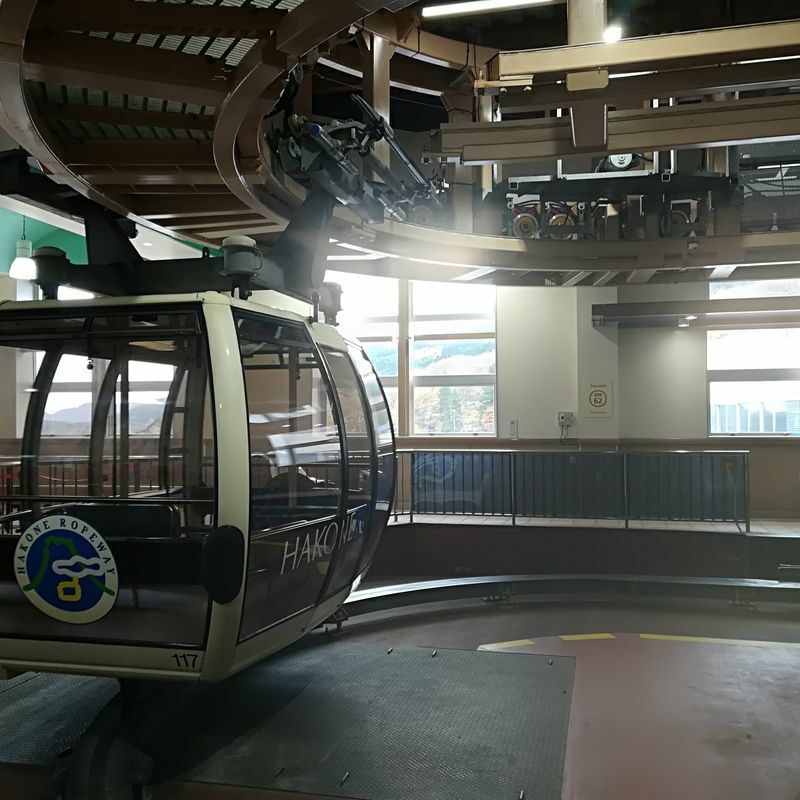 I was even able to choose the option of adding a Free Pass ( a pass that allows you to move around Hakone with different modes of transportation for free all from the same company). Please do not be fooled, it's not free. For a Free Pass valid for two days, you will pay 3, 200 yen which is something I really recommend since you'll be saving some money if you do so. I've been more curious about the Romance Car ever since I've heard of it from my friends. Is it solely for lovers and couples or what? What's in the name? I checked online and the explanation as to what the website said was pretty vague. It mainly mentioned that it's a name coined to attract travelers to a convenient way of traveling. Waiting playfully for the cable car that will take us to Sounzan Station. I have to say it's pretty catchy! 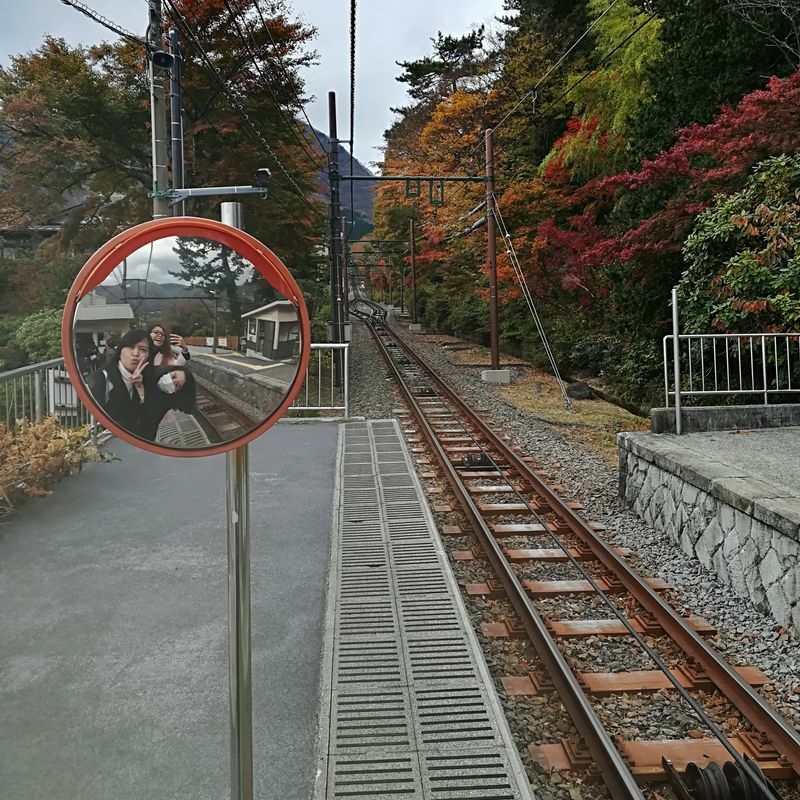 I have to admit too, that I wanted to go to Hakone just to see how a Romance Car looks like. 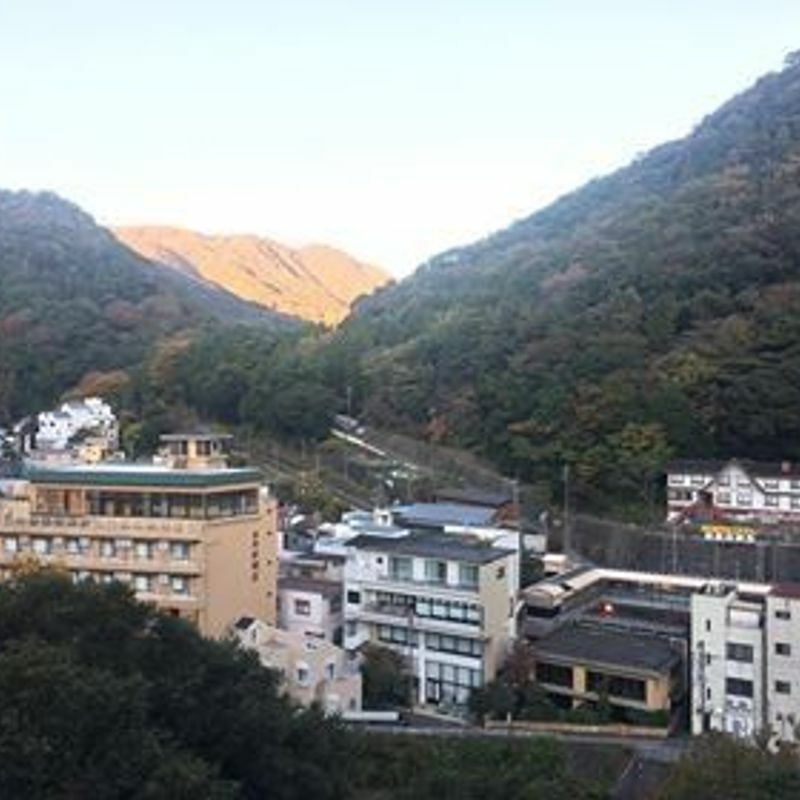 So I booked a round trip ticket for me and my friends and included a hotel accommodation and the Free Pass and paid a total of 20,900 yen for a two day and one night trip to Hakone. I had trouble booking at first since I didn't have a credit card and it says on their website that I have to have one. I lost hope for a little bit but tried my luck again by sending an e-mail to Odakyu Travel. If you happen to have the same issue like me, do not fret since what I did totally worked! They replied two hours later and told me that I can pay through a convenience store of my choice which was what I did later on. I finally booked the ticket and the day of taking the Romance Car came. 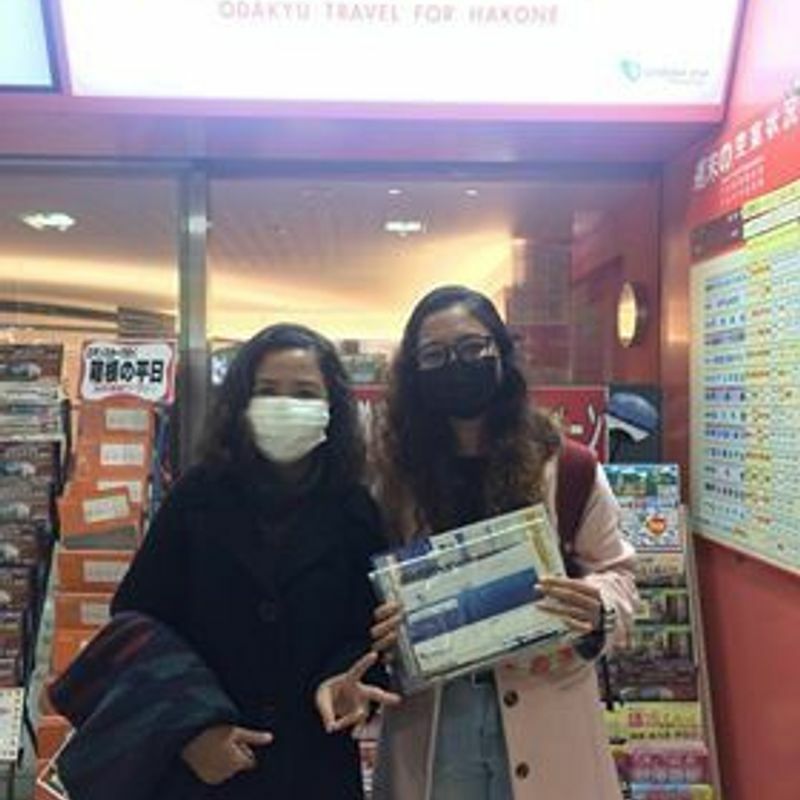 I printed the itinerary sent by the company and showed it to the Tourist Center at Shinjuku Station. 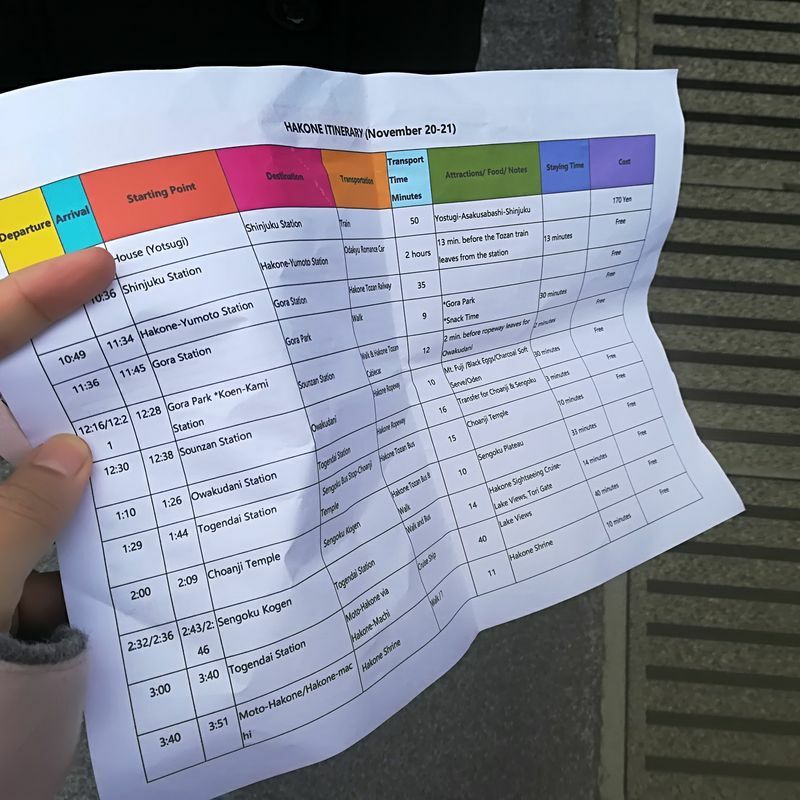 I expected to just claim tickets and hotel vouchers and the Free Pass, but the staff organized a travel kit with the timetables, tips and guidelines as well as the recommended autumn leaves viewing spots in Hakone! I was super impressed! And as for the Romance Car, it wasn't necessarily romantic at all, but it was very comfortable and cozy enough. It has toilets and departed the station on time as well. 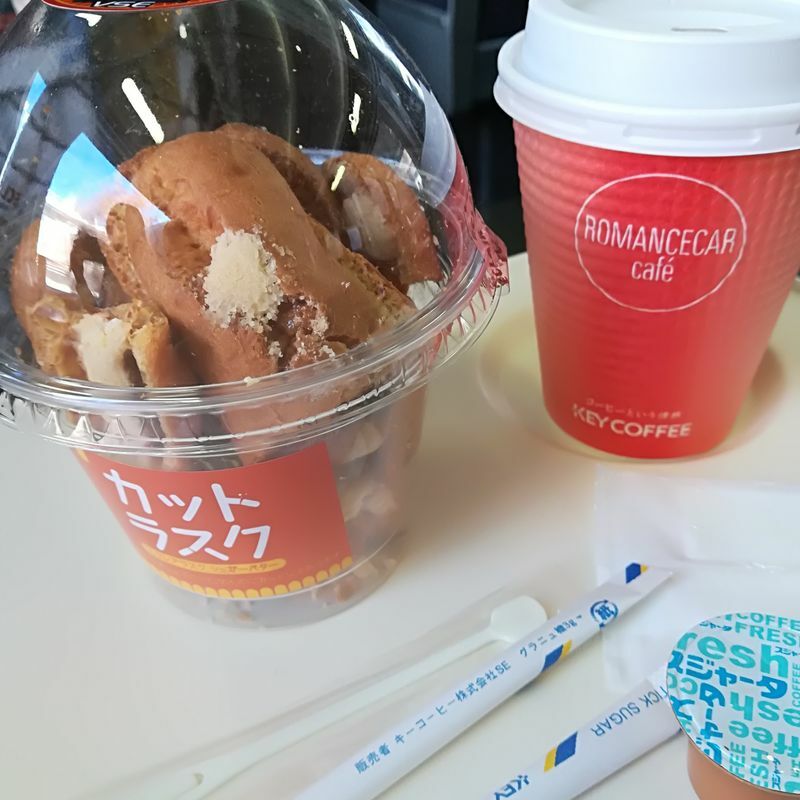 For those who don't have time to buy food before your trips, there's no need to worry because they offer snacks inside the train. I personally recommend the coffee and the snacks that I will be posting below for only 500 yen! If ever you're in doubt about taking the Romance Car because it might sound like a funny name to you, please don't mind the name and just get on with it. It's all going to be worth it. If you have your loved on with you, the travel is all going to be romantic!